Confession: I love to bake with vegetables. This doesn’t always thrill my kids, but the Cinnamon-Carrot Muffins from Whole Living magazine are a new favorite. I decided to make them for Lauren, my four-year old carrot-lover, but my older daughter gobbled them up too. 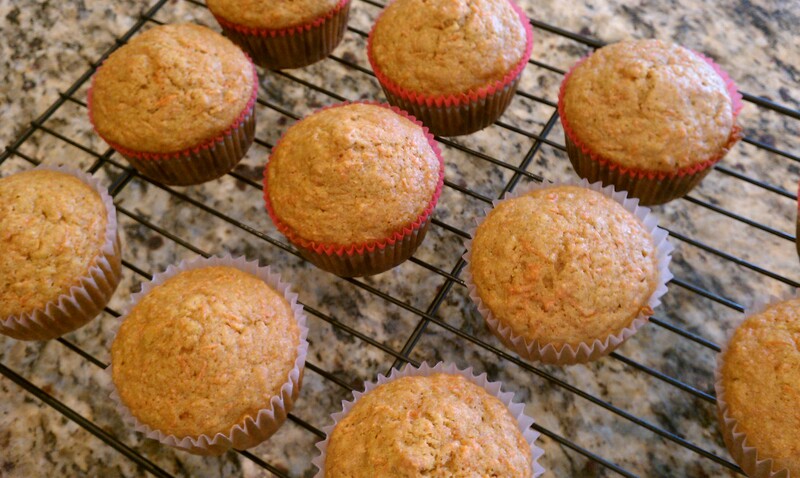 The muffins are reasonable in terms of sugar, and two cups of grated carrots really boost the health factor. And if you grate the carrots by hand like I did, you will get an unexpected arm workout as a bonus.